Smarty Foodie this week is keeping it easy with a quick meal idea for you. Grab you a can a Tuna we are going to assist with this delicious delight! Open the tuna and drain water or oil. Chop the onion, celery, and scallions. Arrange the tuna in a mixing bowl. Add mayonnaise, chopped onion, celery, and scallions. 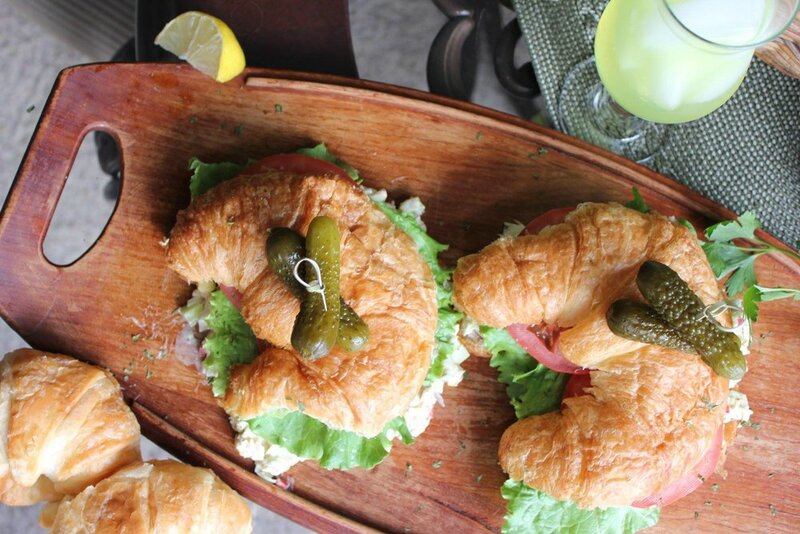 Slice the Croissant in half and then lay a piece of lettuce flat on one slice of the bread. Scoop some tuna salad over the lettuce. Top with the other bread slice.